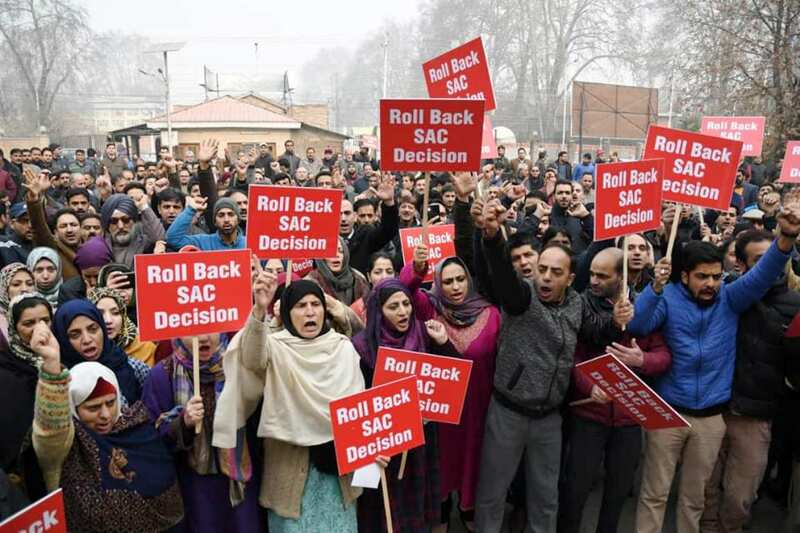 JK Bank employees stages a protest against SAC decision. It was February 10th, 1978, the “federalist” Chief Ministers — M G Ramachandran, Jyoti Basu and Sheikh Mohammed Abdullah — were meeting in Calcutta to press for greater powers for states. In the middle of the discussions, Jyoti Basu turned towards Sheikh Abdullah and said, “I wish I had a bank of my own, I would never even bother about the Centre!” The bank being referred to was the Jammu & Kashmir Bank; the only bank then, as also now, owned by a state government. 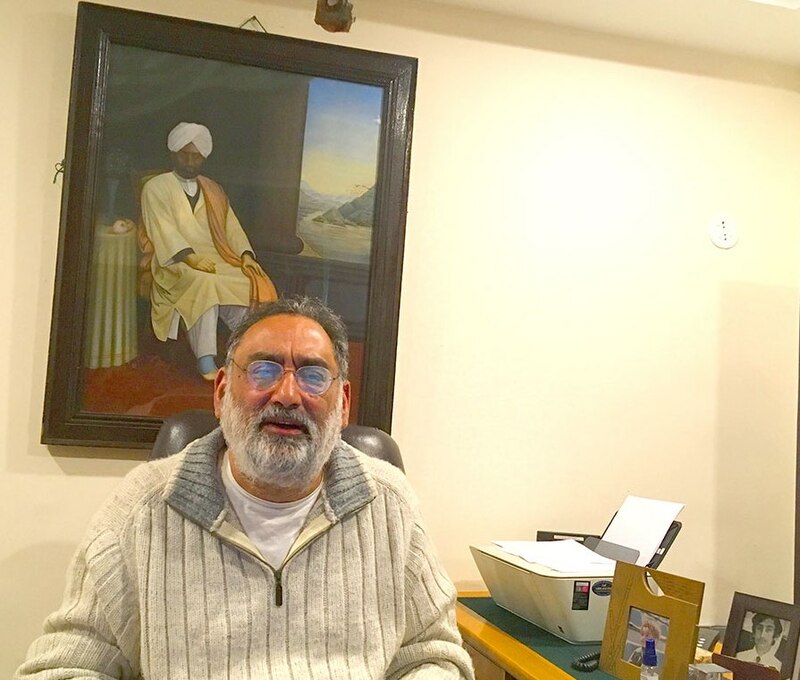 In the last eight decades, the small bank set up by Maharaja Hari Singh, in the back of beyond, has grown in size and stature. From operating like non-bank finance company where its treasury income was more than its interest income from lending, it grew to a bank with a presence and a portfolio in almost every state of the country. Of course, this happened only after it had built a virtual monopoly in Jammu and Kashmir. It got listed in 1998, and thereafter Foreign Institutional Investors (FII) were the second largest shareholders in the Bank after the state government. For Government of J&K, J&K Bank has been the banker, lender of last resort (till 2011), and virtually its central bank. For the economy of J&K, it has served not only as a commercial bank but as a development financial institution. As such it has become the oil that lubricates the financial network and fuels and funds the growth of private enterprise of the state. This way it has come to become an organic part of peoples’ lives. All this has made it an iconic institution of the state; it is not merely a bank! At another level, it is an island of progress amidst a morass of failures. This has given every local a sense of pride and belonging as they identified with it resounding success over the years. The young aspired to be a part of it and the old reminiscence about their association with it. It has changed people’s lives like no other institution in the state. It has engendered prosperity like no other company in the state. In return to the debt that the J&K bank gave to the people in J&K, especially when no other bank was or is lending the way it should, people invested their emotion in the bank as equity. This is the most priceless asset that the Bank holds. I am sure J&K Bank could have done better. It could have served the people better. It could have managed perceptions better. But that in no way takes away from what it has done in the last eight decades. All of a sudden, an off the cuff remark by the Governor on national television, seemed to negate everything. In this context, when five wise men huddled in room take a decision that threatens to change the very character of this institution, there is outrage across all sections of the society. Justifiably so. There are many aspects to the decision of making J&K Bank a Public Sector Undertaking (PSU), bring it under the ambit of Central Vigilance Commission (CVC), extend the Right to Information (RTI) Act to it, and make it accountable to the state legislature. Prior to discussing the implication of these series of serious decisions, one is curious about the timing. Why now? The bank, its ownership and unique structure of being a government company but a private bank has been left untouched by politics — partition of the country, the effective bifurcation of the J&K across countries, unaffected by economic policy — bank nationalisation of 1969 and 1980, and the mergers of 1993. What has happened that forced the Governor to take such a decision amidst political chaos, social upheaval and economic distress in the state? Why destabilise the most financially critical institution at this time when there are fires all across the state that need to be doused? Second issue is of legitimacy of the decision makers. Technically speaking, the Governor has all the executive powers but proprietary and convention demands that restraint should be exercised in taking such critical decisions. The Governor, as the head of government, and his State Administrative Council (SAC), at best, is an interim arrangement without any accountability to the people. Third, by all accounts, the decision appears to be arbitrary and taken in ad-hoc manner without much thought and discussions. It would be interesting to see the SAC note that proposed the move and minutes of what discussion that preceded the decision. Lets us look at the substantive implications of this decision. First, it goes against the Banking Regulation Act of 1949, which is applicable to the state of J&K since 1956. This is the key regulation because J&K Bank is licensed as an “old private-sector bank” under Section 22 of this Act. The Governor, notwithstanding all the executive powers at his command, can take a decision that requires a change in one of the most important pieces of banking legislation in the country! This is absurd. As regards making the J&K Bank accountable to the state legislature, it can pave the way for a serious constitutional crisis. According to Article 246 of the Constitution of India, Banking has been kept outside the ambit of state government domain. The Seventh Schedule of the Constitution of India, banking as a subject comes is under the Union list. By making J&K Bank accountable to the state legislature, the Governor is virtually empowering the state legislature to legislate on matters relating to banking. Today there is no state legislature. Hopefully there will be one sooner than later. What if the state legislature uses this decision to legislate on banking matters with reference to J&K Bank?! For who defines what “accountable” means? The legislature will be free to decide on the scope of the word “accountable”! It can be argued, for instance, that state legislature will be justified in stipulating regulatory and prudential norms for J&K Bank. These can be in conflict with those stipulated by the Reserve Bank of India. For, the J&K Bank, like all other banks in the country, public or private, comes under the regulatory purview and supervision of RBI. In the ensuing constitutional debates and legislative battles, which will last years if not decades, the J&K Bank as a commercial enterprise will be grossly compromised and impaired. In the crossfire between the parliament and the legislature, J&K Bank will be the collateral damage. This cannot be acceptable to any stakeholder of the Bank. To decide that the Bank should submit its Annual Report to the legislature is another hair brained idea. J&K Bank’s annual report is a public document. Not only that its annual results but also its quarterly results are published prominently in newspapers! Interestingly, though all PSU banks are owned by the Government of India, they don’t have to submit their Annual Reports to Parliament! So what is it meant to achieve? The argument of the state government that it is a PSU by virtue of ownership and it is a mere statement of fact shows lack of understanding of the issues involved. The basic tenet of corporate governance is the separation of ownership and management. Owners are managers in PSUs. Their Chairman and MDs are appointed by government. Chairman and Chief Executive of J&K Bank are appointed by the Reserve Bank of India, on the recommendation of the Board of Directors. A political analogy for the change in the classification of J&K bank from a “private bank” to a “PSU Bank” is akin to the changing of the nomenclature from “Sadr-e-Riyasat” to “Governor”! It was change in the name which had huge implications. Both connote heads of state, but the former was elected by the people of J&K and latter is appointed by the Government of India! This change was political disenfranchising. The present one is commercial disempowerment of the Bank. Constitutional and legislative matters aside, the decision amounts to a state and bureaucratic capture of the Bank. This has two serious corporate governance and investor protection implications. Notwithstanding the fact that the state government is the majority, it is a public listed bank, and what the SAC has decided, goes against the minority shareholders of the Bank. It can be challenged by the minority shareholders. The institutional investors will vote with their feet and sell their investments having a huge impact on the stock price. As regards the corporate governance, the real issue is how can the government take a decision to alter the status of the Bank without the Board of the Bank being involved? If the state government issues an order to the effect of the SAC decision, it will virtually amount to superseding the Board of the Bank. The state government has no powers to do it. It will be, and be seen as a major corporate governance faux paus, which will attract more derision than the “fax paus”! The government can at best send an advisory to the board of the bank through the promoter director about its concerns and possible options of proposed action. The Board should then align these with the regulatory framework that it operates under. It cannot and should not be a diktat. Such diktats seriously compromise the integrity of the Board. The RBI and the SEBI will have a view on this matter. As regards the decision to bring it under the Central Vigilance Commission (CVC), it reflects ignorance of the Constitutional position of the state. The decision makers need to be informed that the CVC Act 2003 doesn’t apply to J&K, and by implication, the CVC has no jurisdiction over the state of J&K! This is the reason why the state had to have it own Jammu & Kashmir State Vigilance Commission Act, 2011 which was enacted on 24th January, 2011. Its mandate covers J&K Bank. So what is the need to bring it under the CVC, if it is already covered under the SVC? Or is this a backdoor entry to bring the CVC into the state? This takes us to the third part of the SAC decision, relating to the RTI Act. Bringing it under RTI is a separate matter. It can be done without putting the bank under the PSU framework. I am all for transparency, but it should not jeopardise commercial functioning of the bank. The Central Information Commission has ruled out disclosure of information relating to bank accounts under the RTI Act saying that the agreements entered into by banks with its customers are matters of “commercial confidence”. Please understand that the bank holds such information concerning private persons in a relationship of trust. On administrative matters of the bank, bringing it under the ambit of RTI is not an issue. A case in point is the recent controversy about appointments in the J&K Bank. The reason why RTI is an issue is that it makes J&K Bank as “State”. It is a legal conundrum. This means by implication it is an intrinsic part of the state government. Once it becomes a part of Government, every decision can be questioned and it is open to political interference and misuse. There have been many legal cases on this issue of J&K Bank being State. What has made the decision adverse in the case of J&K Bank is that it has now been accountable to the legislature. It can be argued that the performance of the Bank has been bad in the last few years and it has been dogged by controversy of backdoor appointments. I hold no brief for the management of the bank, past and present but there are a variety of reasons for that and one can think of many remedies to address shareholder and stakeholders concerns. One of the reasons for less than benchmark performance is that all banks have been going through a phase of poor performance. The quality of assets has been deteriorating as Non Performing Assets (NPA) have been rising in almost all banks in the country. In the case of J&K Bank, it has been compounded by the floods and later on by civil strife. If the state government feels that there are issues of governance and performance, the best recourse is to strengthen the Board, but not to effectively supersede it as is being done by the SAC decision. In the last 10 years or so, the state government has put relatives, affiliates and friends of the political class on the Board. This should be stopped by ensuring that Fit and Proper criteria stipulated for directors by the RBI is enforced in letter and spirit. The Board is the apex corporate governance body of the bank and it should remain so. It has representation from the state government, RBI, as well as professional independent directors. And we all know and accept that the promoter director, i.e the state government representative is the first among equals. If there are irregularities, then the management is responsible and should be held accountable and action should be taken. For now, the state government should review its SAC decision and communicate its apprehensions and advisory to the Board through the promoter director and let the Board take a view.